-- Arrival of "Pathfinder" Engine to Kick Off Three-Month Testing Process for Taurus II First Stage Propulsion System --DULLES, Va., Feb 24, 2010 (BUSINESS WIRE) -- Orbital Sciences Corporation (NYSE: ORB) and Aerojet, a GenCorp (NYSE: GY) company -- two of the world's leading space technology corporations -- today announced the initiation of the AJ26 rocket engine testing process for Orbital's Taurus(R) II medium-class launch vehicle with the delivery of a "pathfinder" engine to NASA's Stennis Space Center in Mississippi. 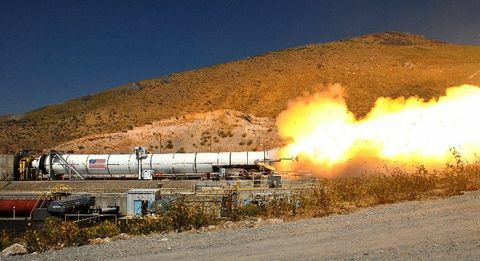 The AJ26 is Aerojet's liquid-fuel rocket engine that Orbital will use to power the first stage of the Taurus II space launch vehicle currently in development. The pathfinder engine will be used to verify test stand interfaces, engine handling processes, and test configurations prior to the commencement of the series of "hot fire" tests that are planned to begin in April. "Our team is very excited to begin the ground testing of the AJ26 engine here at Stennis, one of the great rocket engine testing facilities in the world," said Mr. J.R. Thompson, Orbital's President and Chief Operating Officer. "We have worked with NASA's Stennis staff and our Aerojet partner to develop and install facility upgrades to accommodate our particular needs, and we are pleased with the results. Each of the AJ26 engines that will be used aboard our Taurus II rocket will come through the Stennis facility for pre-launch acceptance testing prior to being integrated with the rocket. We expect this extensive testing process and related activities will provide the Stennis Space Center with a meaningful boost in on-site activity." 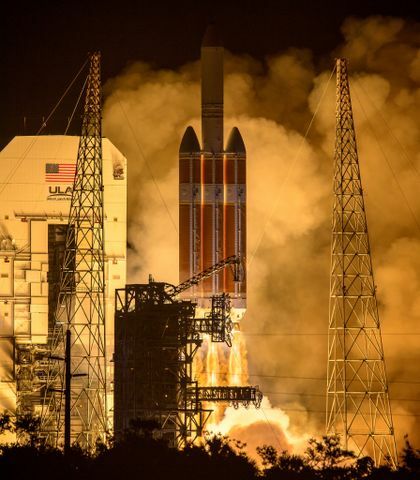 Aerojet's Vice President of Space Programs, Ms. Julie Van Kleeck, said, "Aerojet is proud to be taking this important step toward the first flight of Orbital's Taurus II rocket. We understand the importance of the commercial launch industry and are proud to be a part of it." The AJ26 is a commercial derivative of the engine that was first developed for the Russian moon rocket that would have taken cosmonauts to the moon. As the world's first oxidizer-rich, staged-combustion, oxygen kerosene engine, it achieves very high performance in a lightweight, compact package. This engine received extensive development, representing about a $1.3 billion investment over a 10-year period. More than 200 engines were built and 575 engine tests were conducted, accumulating over 100,000 seconds of test time. Aerojet has been developing design modifications to make the engine suitable for commercial launchers since 1993, and will obtain additional test data at the Stennis facility. The Taurus II program currently has a backlog of nine launches, beginning with the demonstration flight in 2011 for the Commercial Orbital Transportation Services (COTS) project, a joint research and development effort with NASA to develop a system capable of safely and reliably resupplying the International Space Station (ISS) with essential cargo. Orbital is also under contract with NASA for the Commercial Resupply Services (CRS) program with an eight-mission, $1.9 billion agreement to deliver cargo to the ISS from 2011 through 2015. 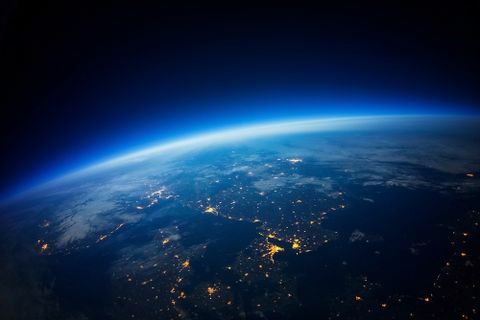 In addition to its work with NASA on the COTS and CRS programs, Orbital is also offering the Taurus II rocket to U.S. civil government and military customers for dedicated launch services for medium-class scientific and national security satellites. From its Wallops Island, Virginia, launch site, Taurus II will be capable of supporting mid-inclination and polar orbiting spacecraft weighing approximately 10,500 lbs. and 5,500 lbs., respectively.